This spring I'd really like to add a few day dresses to my wardrobe. It's rather lacking in the dress department because like many mums (I'm sure) I usually go for the practical option of jeans and an oversized jumper. 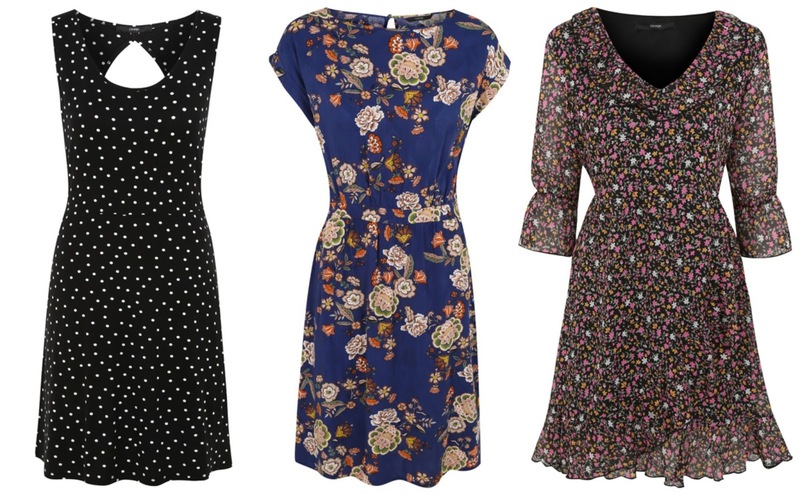 I love the gorgeous patterns on these dresses and the fact they're all under £20 makes them even more appealing! Cardigans and jumpers are still a must-have for spring in the UK and this bold and beautiful yellow cardigan from George really caught my eye. Yellow isn't a colour I wear very often but I remember having a similar shade cardigan a good few years back and I found it went with so many things! How pretty are the embroidered bell sleeve top and denim skirt featured above?! I love anything embroidered and would love to add these to my wardrobe this spring. Of course, I wouldn't be wearing them together - my rule is one piece of embroidered clothing per outfit! But I think the top would look gorgeous with the light distressed denim skinny jeans featured below and the embroidered denim skirt would look lovely with a plain t-shirt or cami, with the yellow cardigan thrown over the top. A new season means a new pair of boots right? I tend to wear flat boots these days but I think these 2 inch tassel ankle boots from George are more than manageable (even for me). I love the tassel detailing and think these would look great with dress and tights outfits. Although I'm not short of jumpers, I love this neutral knit from George, which has button detailing on the shoulders. It'd go perfectly with skinny jeans and boots and would provide a much-needed layer of warmth! 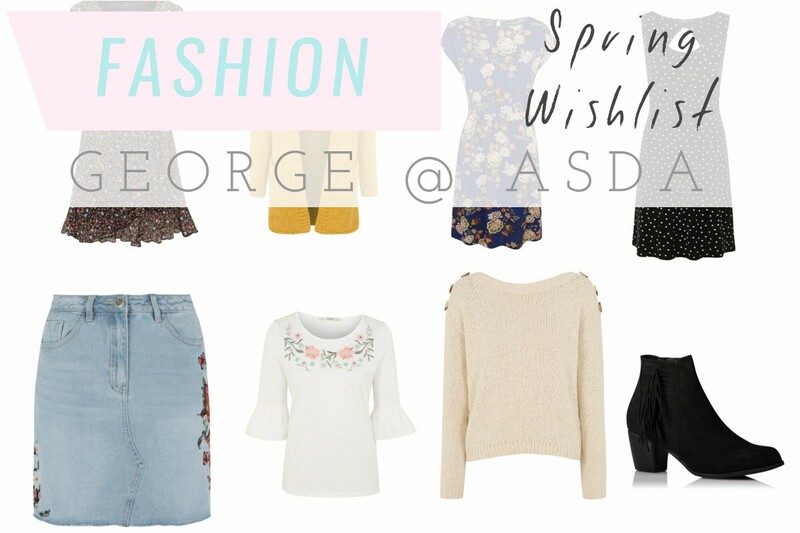 What's on your spring fashion wishlist?